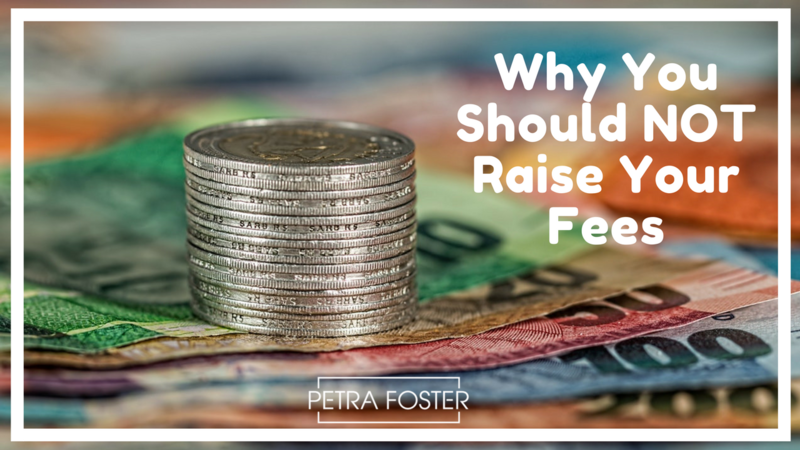 So these past few weeks, we’ve been talking a lot about raising your fees. Why you should do it, what’s holding you back, and the big misconceptions along the way that are forcing you to believe that you should charge by the hour and underprice your offering. Maybe you’re a little bit unsure though. Maybe you’re wondering whether earning more money whilst also increasing your impact and working with a higher caliber of clients is REALLY for you. Surely there are some people who should definitely NOT raise their rates right now? In the interests of making sure that you have the full picture here, I’ve thought long and hard about the kind of business owner who shouldn’t increase their fees, like we’ve been talking about. And I have just ONE example for you to consider. >>>If you have no real passion or SKILL when it comes to your area of expertise, and you’re purely in the game to make some fast money… Then what we’ve been talking about doesn’t apply to you. You should not raise your fees, because you can’t bring value to the table – and ultimately, charging premium fees is not a sustainable way to operate if you can’t deliver. You’ll quickly be ‘found out’, and your reputation will be in tatters. There’s one BIG caveat here though. If you’re thinking that this might apply to you, and that you’re ‘not good enough’ at what you do? Then is that REALLY the case? Or are you just having a pity party, and doubting yourself because your business has worn you out, and battered you down? If you’re reading this email, then I strongly suspect that the pity party thing may apply. Because I don’t attract people into my world who are not serious about making a real difference and creating transformative change for the people who they work with. My clients are people who are talented and skilled and love what they do, but have struggled to enroll high-end clients. And I think that it’s highly likely that you’re the same. So there’s no real reason for you to resist raising your fees for any longer. Facing facts is the first step towards making the change, and transitioning to a premium business model. 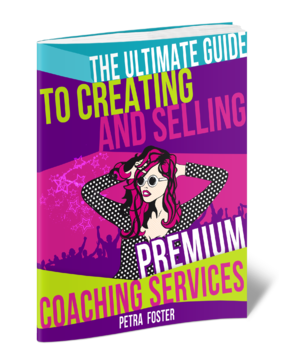 If you want my help with crafting your premium package, and enrolling high-end clients with joy, confidence, and ease – without an email list, or a huge social media following, or a celebrity-style status in your niche? Then join the waiting list for Sales in 6 Mastery. You’ll be the first to know when the doors open again very soon. P.S. I’ve created a template for you, so you can let your previous clients know that your fees will be increasing, and also give them an opportunity to book some time in your diary. It’s simple and straightforward, but it works. I’ll be sharing it to you next week, so keep your eyes open.